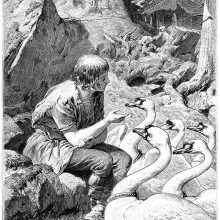 They see Bayard battling against an enormous bird. 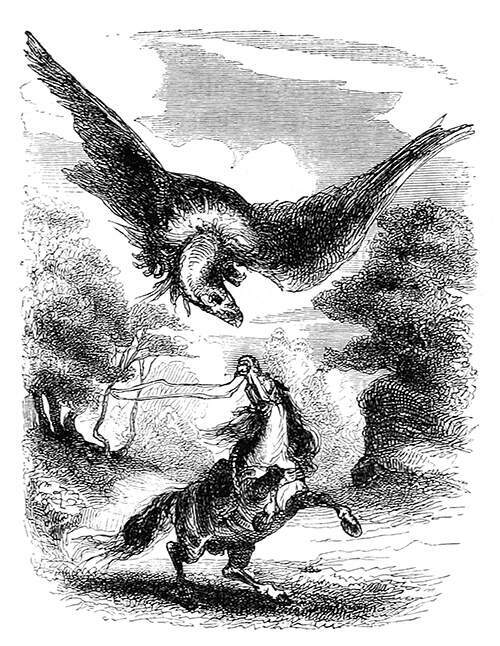 A horse rears up in an attempt to defend itself against an enormous vulture-like bird circling above its head. 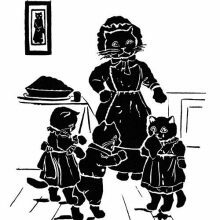 The caption reads in the French version: Ils aperçoivent Bayard aux prises avec un énorme oiseau.